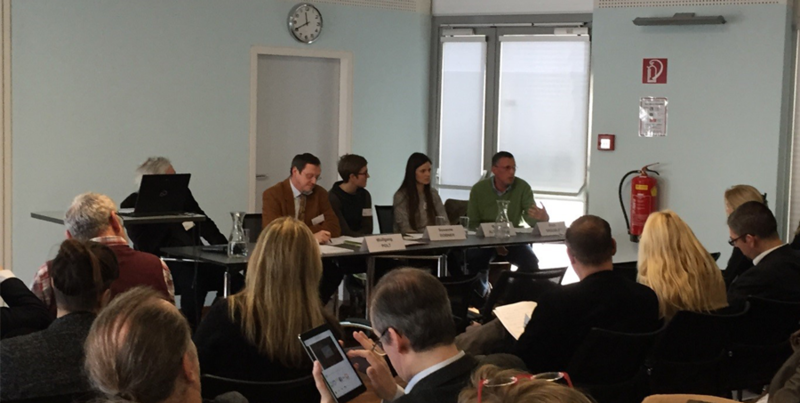 On 12 February 2016 the Austrian partners of the FoTRRIS team attended a workshop in Vienna, organised by Joanneum Research, a founding member of the Austrian RRI-platform. 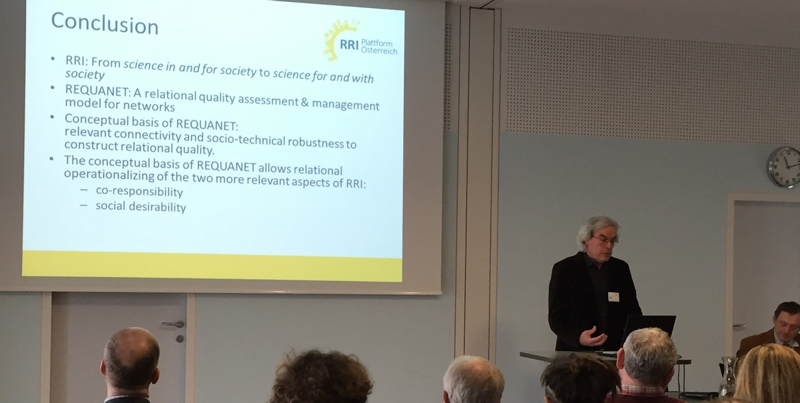 Andoni Ibarra from the University of the Basque Country (Spain) gave a keynote on indicators and their implementation, referring to the REQUANET assessment and management model for networks. 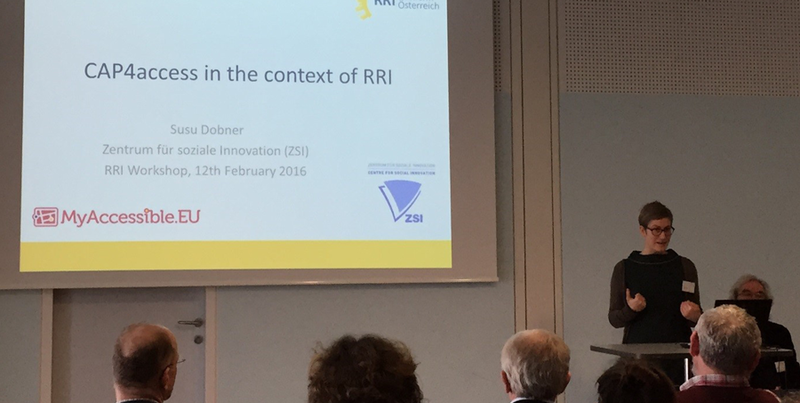 The talk was followed by two presentations on practical examples for the implementation of the RRI concept. 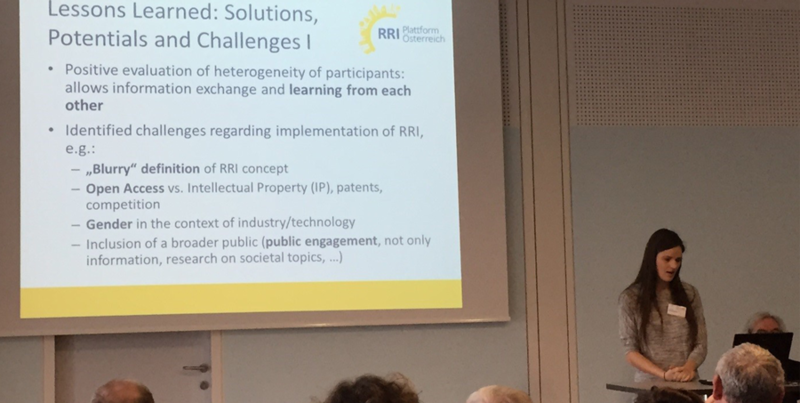 The open discussion showed that the concept itself is still vague and its integration in the scientific process raises many diverging points of view.